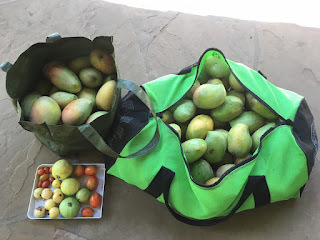 This morning we had a huge harvest of Mangoes from the trees on the Nomad organic farm, 126 all together. 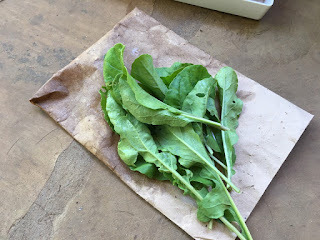 Combining this with the first small harvest of Rocket (going onto today's pizza's), some Guavas, Tomatoes and Cherry Tomatoes for the salads and the delicious fajita wraps. 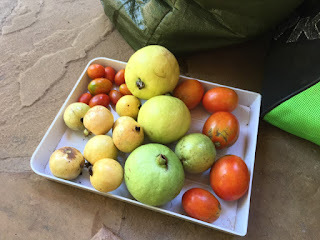 Cherry Tomatoes, Guavas and the first Tomatoes.